Folks: Echoes of Apollo EME 2010, April 16,17,18 aka World Moon Bounce Day, is approaching fast. Like last year, we would like it to be all EME inclusive, all bands, and modes, a fun event, with a common Science outreach /Young People thread. We are still open to event design inputs as to format, of QSO exchanges, etc. This year, EOA has been graced with a special opportunity; We have the Arecibo Dish on board, for 432 SSB, and CW; Maybe 1296. For Planning purposes, Arecibo can only steer +-20 degrees from Zenith. and is located at: 18.3N 66.75W. We are working with the very kind, generous and capable Arecibo Faculty and Staff, and the Arecibo Observatory Amateur Radio Club, on setting up a 1296 station, which we have to source, design, fabricate and test, from scratch. If anyone is interested in joining the Arecibo DX-pedition team, that has a 1296 transportable station, please contact me off line. (apolloeme@live.com ) The EOA team will/can stay on site, at the $60/day (way below market rates) accomodations for the Visiting Scientist Staff. The 1296 station will be located inside the Gregorian Feed Dome and the feed horn, will illuminate their dual mirror Gregorian feed, and then the 1000' spherical dish, 450 ft below. Yesterday we encountered a problem, one of space, to mount a planned OM6AA design Dual Mode Feed. We do not have much space behind the phase center, to mount the feed, and dont think the OM6AA feed will fit. We may only have 18" (still checking) behind the phase center point for the feed. We are still testing and checking, but I (an EME newbie) would welcome suggestions for feeds that are particularly short, that will more likely fit inside the Gregorian Dome on the rotating floor, at Arecibo. I am still gathering exact required F/D information. We are planning a pre EOA event test of the Arecibo 432 system, exact time and date not determined, but probably Feb 24 or 25 from about 0:00 to 01:30 UTC (evenings of the local 23rd and 24th, Arecibo time). Probably short, and not aimed at QSOs, in the interest of minimizing Arecibo Staff and dish clock time. I will know later if/how many two way QSO opportunties exist for this test. Principal objective of the test, is to see what is required in terms of a minimum station receiver antenna and preamps to hear either CW or SSB. We would like any 432 EME stations to listen, perhaps even record, signals received, and send reception reports in, noting their receiver setups. Arecibo has more than 50 dbi gain perhaps much more, on 432 (still seeking an exact figure) so if it can be heard with modest equipment, I want to encourage Hams to connect with schools, set up a 432 receive system, (or bring the kids to your EME station) ,and demonstrate EME to the kids, during EOA. We are also looking for a documentarian, to video the Arecibo visit. A meeting with NASA at NASA-Ames yesterday bore fruit as earlier predicted, with an opportunity for collaboration between NASA and Arecibo, and possible regular EME operations from Arecibo in the future. NASA mentioned, that whether this happens, now turns on a critical EME receive test that will happen in March, date as yet undetermined. The test, which we had hoped to do earlier this week, had to be postponed due to operational issues at the Arecibo. NASA and Arecibo would like a well organized test done, and, based on the results, will make a decision of a level of support and interest for future Arecibo EME/Science outreach / Fun projects. As many as several per year. What Arecibo, and NASA want, is to get quality data from as many sources as possible during the test, and a well thought out, standardized form for data collection, and submission for analysis, that includes details of the reception, (a digital audio file recording would be great) listing obviously, time, date, frequency, Make and model, serial number, of each item used at the receive location, Receiver, Preamp, if any,Coax, and station layout used, Antenna type, make, model, Signal strength reports, objective, (precision, if possible) and subjective, and any notes on how the antenna was pointed, whether hand held, or some auto track method. (software used) A careful record of actual Az and El vs time, date, Operator name, location and contact information, and a subjective report by the operator after the test. Photographs, or video of each Station actually used, or in operation, showing key components, Antenna, coax run, interconnects, relays, Receiver preamps used, etc. It is my guess that with all the highly skilled, and dedicated EME station owner operators out here, there are many who have developed their own careful note books and forms for documenting their station performance as it is constantly improved. If there are any who have developed a detailed station configuration and performance report form that is suitable to be groomed into a standardized report form for this Arecibo event, we would love to see it, and perhaps use it for the event. Arecibo and NASA would like to bracket the gamut of stations used, from the least sophisticated, to the most sophisticated. [Maybe not] Surprisingly, with particular interest in unsophisticated, receive-only stations. NASA and Arecibo really want to see proof that easy to build, out of common materials, (welding rod, copper wire, Grape stake or wood lath (1x 2s, etc) booms, Stanley Tape elements, etc, antennas that work, that are buildable by a, say, middle school age child, under adult supervison, and ideally, who has a mentor who can work with the child showing/teaching/explaining how to use software to determine the dimensions and spacing of Yagi Elemnts, driven loops, etc. I think a multi element Quagi on a variety of lengths of wooden boom would be a perfect target home brew antenna, especially if you could A/B compare and document that antenna's performance against a (any) commerical, or more conventional antenna of known characteristics used. I could see a winning Science Fair entry coming for someone out of this exercise. in for review by NASA/Arecibo, at a to-be supplied address. All of these operations, and test at Arecibo are being conducted in conformance with operational guidelines, governing operations at Arecibo, and US Part 97 FCC regulation. The frequency suggested for use is 432.045, subject to change and confirmed prior to the test. Modes will be SSB, and CW. Arecibo will use a 432 station lineup provided by the local Arecibo Obervatory Amateur Radio Club, capable of providing 60 watts, or so to feed. The Arecibo Antenna Gain is about 58 dbi at 432. (!) If anyone could loan a higher power PA to the test effort, it would be welcomed. Time is now of the essence, for setup prior to the test later in March. A complete operational, tested, backup 432 EME station, if it could be found, and made available at Arecibo, both for the test, and the event, April 16,17,18 would be a good idea, and if needed, could be shipped, or hand carried, accompanied by the owner-operator who would be the technical support component of it's operation at Arecibo. As mentioned earlier, an organized sked should be made for the EME event, particularly due to the very short (2.5 hour max per day) Arecibo operational windows to the moon. We are looking for volunteers for a team to organize skeds. contact Pat, AA6EG apolloeme@live.com for details. Couple comments (inserted): Please inform the eme community with as early a lead-time as possible for those stations that must install temporary equipment (and just general planning). I'm sure they would like to get data that is comparable (to a standard format), and accurate. In fact JT-65 provides this more easily than SSB/CW but takes up more time. Perhaps a one-way beacon using JT-65 for say a ten-minute test period would allow a lot of stations to record the signal with a variety of equipment and antennas. JT-65 produces a standard signal level measurement and is capable of producing .wav files of received audio. A data base of participating stations could be built and analyzed using VK3UM's sw. That should provide a comparable performance document. My preliminary eme path-link analysis indicates that you will need more than 60w at Arecibo for the small home-built antenna/receivers to be successful (especially for SSB). My guess is that a 7-10 element yagi (12-dBi gain) would require use of JT-65 for reception of a 60w transmitter at Arecibo (60w is 14 dB weaker than 1500w; 60w SSB would be SNR= -5.4 dB, 60w CW= +1.4 dB). Therefore, obtaining a high power amp is very important. I will run my eme path-loss sw to give you an idea of ground station requirements for receiving Arecibo with a zero SNR at different modes. SSB typically needs SNR= +6 dB, CW SNR> -12 dB, JT-65 SNR > -28 dB (those are my guesstimates). Assuming the coming pre EOA event (Event: April 16,17,18, pre event test, sometime in March) test goes well, there will probably be a series of Arecibo moon bounce events organized, in coordination with Arecibo, approx thrice yearly, as part of a NASA-Arecibo Ham Radio-EME outreach program. and a series of articles covering them, probably in CQ-VHF. "Goes well" terminology is critical for success, and is defined as a successful test of a small, simple to build 432 Yagi, or Quagi antenna(s) that successfully receive audio (SSB) trasmissions from the moon. Recent meetings with NASA and discussions with Arecibo have empasized the need for very careful, scientific rigor in building and documenting the operational performance of the Quagi antenna of various boom lengths that are used for the test. If simple antennas are proven to work (helped by 58 dbi gain and a KW at the feed) then work begins on arranging thrice yearly EME events at Arecibo, with among other things, science outreach opportunities as the goal. UHF Quagis, and Quads, have been designed and built in the past, from commonly available materials, 12 guage solid house wire, welding rods (aluminum, or Brass 1/16") and wood 1" x 2" lath. Perhaps Stanley Carpenters steel tape fills, (can be bought at a hardware store, but are not modeled, so someone needs to model the tape elements, (flat 5/8" wide, etc) for a Quagi. Should not take more than about 4 hours to build one of these, once you pick up the materials from the hardware store. Well known antenna and Contester Icon, Wayne Oberbeck, N6NB literally wrote the book, and landmark articles on Quagis, see below, for Wayne's detailed Quagi construction information and tips. Build some... some as described, some with fewer elements, some with more elements and longer booms. follow the prescribed dimensions, and the design tips in Wayne's article carefully. I need for the pre-event Arecibo test, a number of these kinds of antennas with different boom lengths, to evaluate a minimum required design for EME success. The Arecibo test is later this month, at a to be determined time, when the declination of the moon is high, favoring good Arecibo windows. Prior to the test event, there will be built Quagi antennas of various boom lengths, and careful measurements made, on the complete stations used, and results obtained. I anticipate a Quagi with a boom length of about 10 ft will be more than required to hear the Bounced 432 SSB signals. We would like to confirm if a much less lengthy boom will also perform adequately... So, get your materials, this article attached, and please, get building! Předmět: Re: [Moon-net] Anyone having Experience with Freescale MRF6VP41KH ? A timely question, indeed. I am working with Freescale now, and expect delivery, soon on a 600W output 432 amp, perhaps the first in the field, for ham radio use. It is in Europe now, at Freescale Semi getting final detailed adjustments, and bench burn-in testing. The amp design has been in operational development, for a couple of years now, and the development engineer says he has extremely high reliability, with the single KW device package (two FETs). I anticipate final 432 SSPA checkout, test, and shipment shortly. 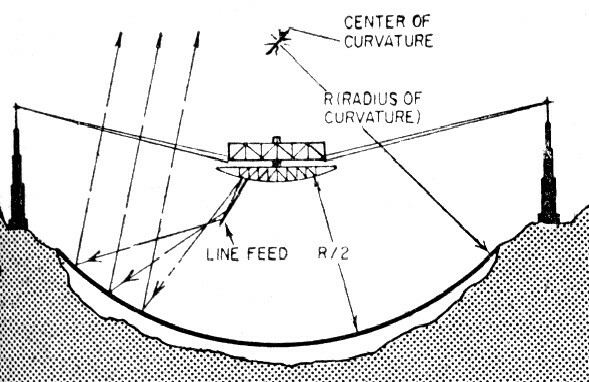 We plan to use this at Arecibo. 5 W in, will deliver ~600 W out with high safety margin, in amateur service. 10:1 SWR withstand capability. Engineer says that is conservative, and with a proper heatsink, (including water cooling) says 1KW output is mathematically possible. He says this one that we are taking to Arecibo at 600W out is operating very safely, and conservatively at that power level. A single active device package, 50V switching supply, air cooled heat sink, 5W in 600W out in a small light package. The amp, we are taking to Arecibo, will come with a spare MRF6VP41KH device, which can be changed in the field, with only a screw driver, and some heat sink paste, no soldering/desoldering necessary. I am truly astonished. Angel at Arecibo is preparing for an operational test at Arecibo, maybe even as soon as tomorrow, Friday. He and others in the Arecibo Radio Club have moved quickly on assembling a station, approx 500 watts, and will position closely to feed, to minimize coax losses. He has not confirmed the frequency or a mode, or call sign used but it may be the club Call sign, KP4AO. A frequency that I earlier suggested was 432.045. I will update as soon as I know additional details. This test is the one I want to get detailed reports on. Please take careful notes, of your setup and signal strengths received. I'm sure you already reported that, but I wonder what mininimum elevation is needed at Arecibo to see the moon (mainly I guess by tilting/lifting the feed as the reflector is a fixed one) ? 70°, 80°, more ? This would help to compute maximum mutual window at any location, the vk3um planner is doing this nicely. 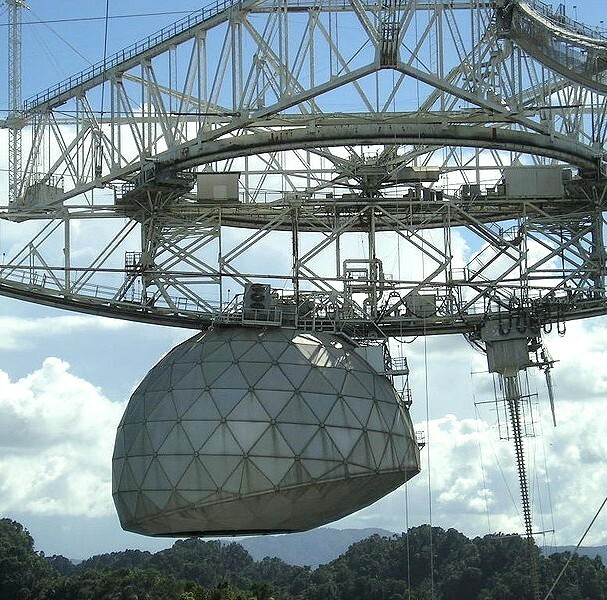 Arecibo [FK68OI] can steer its beam a maximum of 20 degrees from local vertical, local zenith angle. That would be entered in VK3UM planner as Minimum elevation of 70 degrees. Check me on this, but I ran that for today and find that Arecibo's maximum window in time today, March 19, is from 18:00Z through 20:40Z. I had planned a number of areas of study, and equipment to ship and place at Arecibo, such as SDR receivers, High power Amps and detailed test operations, so as to get a reasonably precise figure of received signal strength with a variety of antennas. I had also planned to open up the SWL (schools, radio clubs, and Satellite ops) population to listening in with simple antennas, especially with high power at the feed of Arecibo, and ~ 58 dbi of gain. Thanks to Ed, KL7UW for working with me to run numbers and using exprience to come up with a minimum antenna/performance required for hearing Arecibo SSB off the moon, assuming 500 watts at Arecibo Feed. For SSB, it looks like a long boom 20 element, or possibly 2 booms at 13 elements are going to be required. Special thanks go to Russ Pillsbury K2TXB who offered to do some event and QSO scheduling, and to bring an SDR receiver, during the event at the site. Time and logistical constraints, and a serious, attention getting structural issue at the Arecibo Focus structure, have limited outside ham interaction, by Arecibo Staff this time. . Remember, this event is only one of the EOA EME/WMBD events (and other EME (DUBUS)events that weekend. I encourage all to work whatever you can EME on any band, and have confirmed Dwingeloo participation, and HB9MOON, and I am guessing some of the guys from Australia, VK3UM, et al, will participate. Consider that EOA aspects are not limited to 70cm operation. If you have an idea on how to make a distinctive QSO marker, or content to the EOA activity, I am interested in hearing suggestions. Perhaps EOA folks can create at special certificate of participation, or QSL for the event, for mailing to EME stations or even SWL stations that confirm a recipt of a QSO. After Arecibo, I plan to make the Freescale Semi amp ( a backup amp this time at Arecibo) an EME community "Rover" amp, available to EME expeditioners, or special ops on 70cm needing QRO. It is an amazingly capable piece of QRO, lightweight, small, and even capable of higher power. If.. you can design a water cooled heatsink for the single package active device. (MRF6VP41KH) I think the whole amp/Switching power supply package comes in under 10kg, havent seen it yet, it is being prepared for shipment from France. As soon as I know scheduling of any tests from Arecibo, I will post.